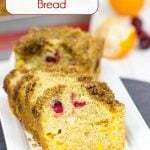 This Coconut Cranberry Pound Cake is a fun and festive way to celebrate the season! T-2 weeks until Christmas. Wait, when did that happen? Oh yeah, probably while we’ve been hunkered down taking care of Robbie. He was born on Nov. 19, so he’s just now hitting 3 weeks old. I’m sure some pictures of him dressed as Santa Claus will show up soon, but for now, he’s taking a nap. Babies love taking naps! And Daddies love when babies take naps! I had a vague idea that I wanted to make a pound cake of some sort. I was thinking it might be fun to pour some frosting on top and then cover it in coconut. Shredded coconut kinda looks like fresh snow, right? It’s like the fluffy white snow that comes with the first snow of the season. So somewhere around aisle 5, I had decided on coconut pound cake. Cool. But then I came around the corner and saw a huge display of cranberries. Oh, cranberries. You always look so fun and festive, and I don’t use you near enough. That’s it. Coconut Cranberry Pound Cake. My mind was made up. Or was it? I remembered how easy it is to sugar cranberries. Ok, my mind was indeed made up. Coconut and fresh cranberries in the pound cake. With more coconut and sugared cranberries on top. Done. Instead of going with a traditional bundt pan for this cake, I used an 8″ ring mold pan from Fat Daddio’s. Although similar to bundt pans, ring mold pans are indeed slightly different. Sure, they are both round with a hole in the center. And sure, you can bake a cake in both. One of the key differences is that ring mold pans feature “rounder” sides than bundt pans. 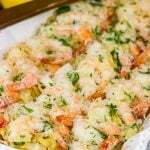 This gives your baked cakes a slightly different appearance, and more importantly the rounder sides make it easier to remove cakes after they are baked. We’ve all been there when half the cake stuck in the bottom of the bundt pan, right? It still tastes great…but it looks like a Frankencake. 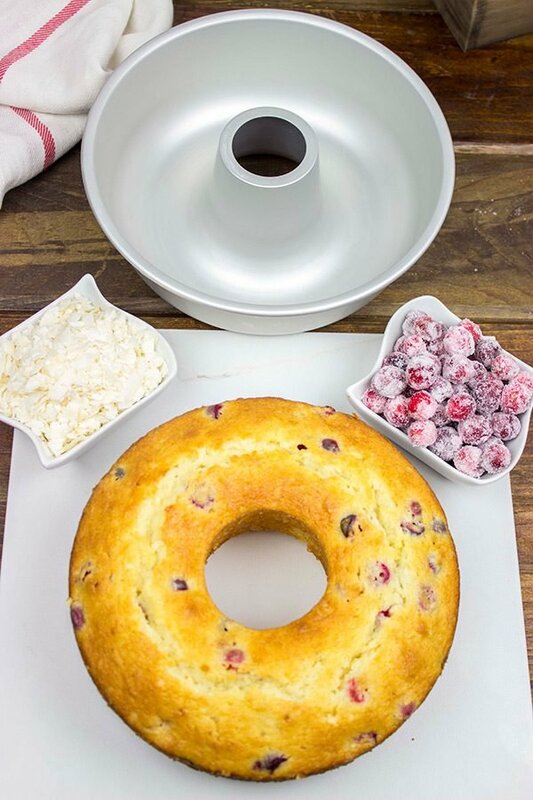 One of the bigger advantages of a ring mold pan is that they are much smaller than a bundt cake pan. A standard ring mold pan holds about the same volume as a standard bread pan. 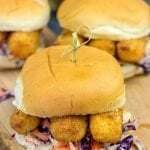 That means you can mix things up and bake your favorite quick breads in a ring mold pan next time. A round banana bread? Say what?! Oh, and ring mold pans can also double as ice molds for the punch bowl at your holiday parties. Check out Fat Daddio’s for more fun ideas for ring mold pans! Speaking of Fat Daddio’s, I can’t say enough about their bakeware. If you’re a long-term reader of Spiced, then you’ll know that I’ve featured their bakeware in all sorts of recipes this past year. If you’re looking for a last-minute Christmas gift (or maybe just a new gift for yourself), then I highly recommend checking out Fat Daddio’s. Their pans are available at many fine kitchenware retailers, or you can also grab ’em online at Amazon. Preheat oven to 350°F. Grease and flour an 8” ring mold pan; set aside. Using a countertop mixer, cream together the butter and sugar until light and fluffy (~2-3 minutes on medium-high speed). Add eggs one at a time, mixing on low after each addition until fully incorporated. In a separate bowl, whisk together salt, baking powder and flour. Add half of the flour mixture to the mixer bowl; mix on low until fully incorporated. Repeat with remaining flour mixture. Add sour cream, buttermilk, vanilla, coconut flakes; mix on low until well combined. Gently fold the halved cranberries into the batter. Pour batter into greased pan. 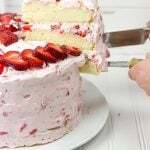 Bake at 350°F for 55-57 minutes, or until a toothpick inserted into the center of the cake comes out clean. 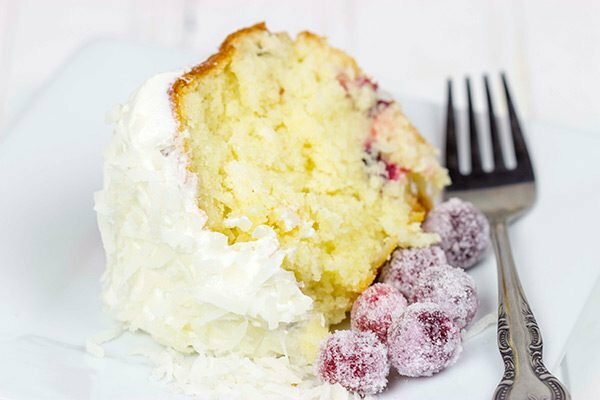 Allow cake to cool at room temperature for at least 30 minutes before removing from pan. Using a countertop mixer, beat butter on medium speed for 2-3 minutes. Add powdered sugar ½ cup at a time, mixing on low speed after each addition until well incorporated. Add salt, vanilla and milk. Beat on medium speed for 3 minutes. Using a small saucepan, add the sugar and water. Place pan over low heat and stir until sugar has dissolved. Place superfine sugar in shallow bowl. Add cranberries and toss until well coated. Place the Frosting in a microwave-safe bowl. Microwave on low power for 10-12 seconds, or until frosting is just barely pourable. Remove cake from pan and pour frosting over top of cake. Sprinkle additional flaked coconut generously on top of frosting. 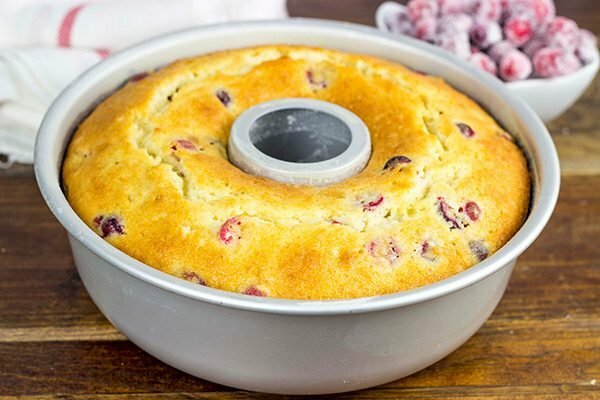 Fill center of cake with Sugared Cranberries. 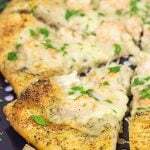 This is a sponsored post written by me on behalf of Fat Daddio’s. I love this cake! It just says festive, winter celebration! Fresh cranberries are one of my favorite fruits for baking! I love how you used them in the cake and sugared in the center! Very pretty! Can’t wait to see some pics of baby Santa! Seriously – your folks are fabulous for helping y’all make the transition into parenting and this cake is such a sweet way to show your appreciation David! Looking forward to those pics of Santa Spiced Robbie! Hope y’all have a wonderful weekend my Upstate NYC, future-bakery-owner, friend! So many stores to be shared…dude – if y’all cannot make it into the city in July 2016, Lil Shashi and I might have to catch a train upto Saratoga Spings! Thank you so much, Tamara! I had a blast making this cake. And yes, this pan is definitely a good addition to a baking supply closet. I’m totally thinking I want to make my go-to banana bread in this tube pan next time. Just for something different, ya know? Hope you’re having a great weekend! David! This cake has my attention! 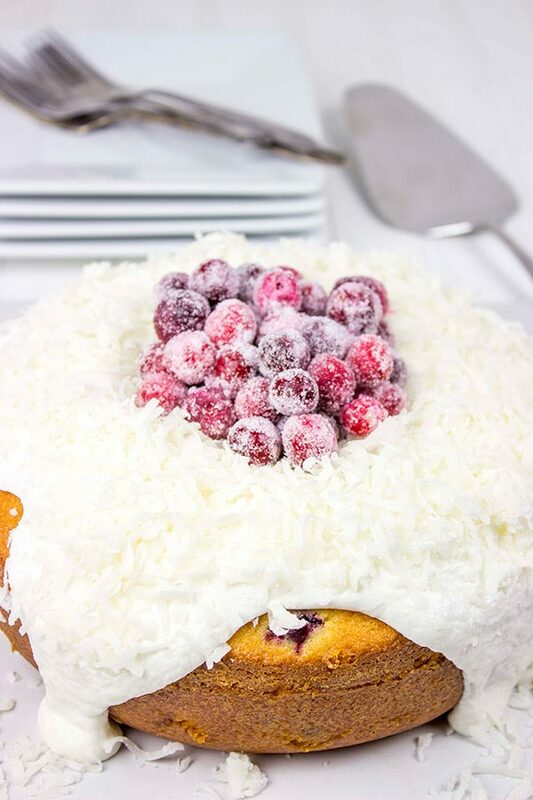 Coconut and those sugared cranberries are so festive! Now I have to go back to the store for cranberries. For a number of reasons I did not get my birthday carrot cake made, but now that I see this… 🙂 Have a fun weekend! What?? You didn’t get your birthday carrot cake? Wait…that means your birthday is almost here…or here? Happy birthday, my amazing Tennessee friend! 🙂 May the cake gods send you lots and lots of carrot cake and maybe a slice of this coconut cranberry cake, too! Hope you’re having an awesome weekend! 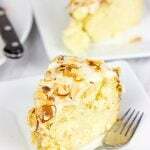 Definteley bookmarked and Pinned this one, it’s a beauty and I love ot try new pound cake recipes. Never been much of a coconut person, milk yes, flakes no bueno, but this is so beautiful Dave. Wow. Pound cakes are one of my all-time favorites, Kevin! 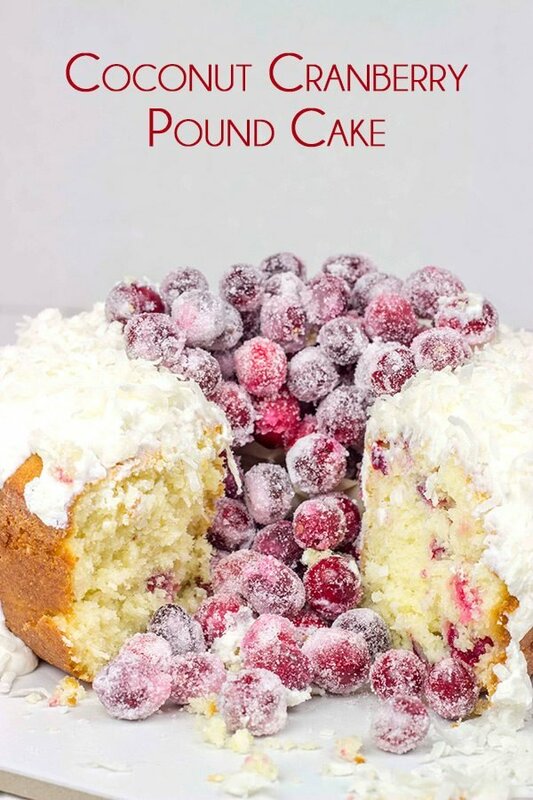 I think it’s because my mom used to always bake pound cakes when I was a kid…and I loved ’em. So they totally bring back good memories now when I bake pound cakes. This was the first time I had frosted one, though, but Laura said I should do it every time now! I’m thinking you could slightly alter this one and use something else instead of coconut? Hope you guys are having a great weekend! Nice! It is beautiful, and as far as I’m concerned, there’s not enough cranberry in the world. Let’s go to our respective grocery stores and buy all of the cranberries, Jeff. Every single bag. Then we freeze them and unload cranberry-inspired recipes for the rest of the year. Sound like a plan? It could be our little way of sharing the cranberry love! We think so much alike, David. I alway do this around Christmas time, fearing that I won’t be able to find even frozen bags at the store later in the year. And cranberries could care less about being frozen. 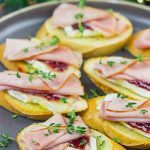 I like to make fresh cranberry sauce in early summer, and serve it with pork or chicken. Seems so exotic in summner! I’ve heard of Christmas in July…let’s start a Thanksgiving in June trend! I need to get me a ring mold pan. I have several sized bundt pans but I like the clean lines of the ring mold pan that you used here 🙂 This pound cake looks sooooo good! That is such a beautiful looking cake. It looks like it has been snowed on, which makes it very festive looking. 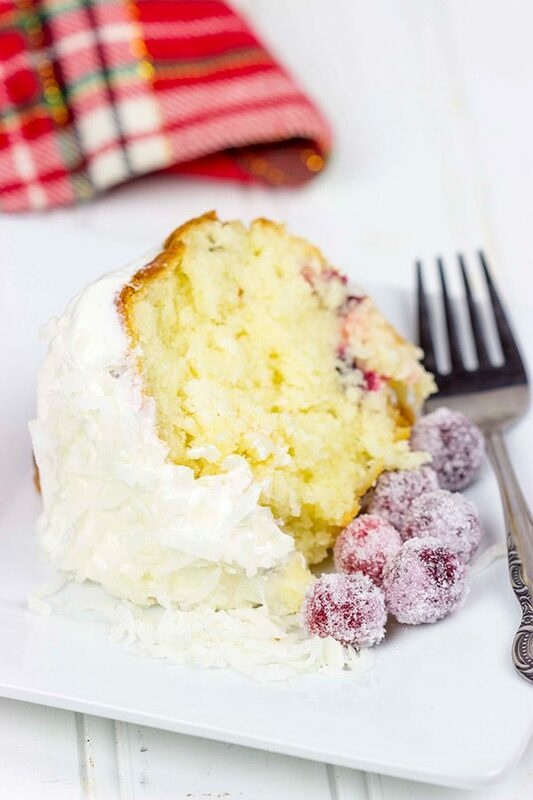 I love the sugared cranberries, makes the cake so festive! Take advantage of those naps and enjoy the visiting grandparents! If you keep baking pound cakes with sugar cranberries, you may have permanent help! David, there’s a huge hole in your cake! Someone might have tried it. I bet it might have been Robbie while your were making your grocery. But I wish I could say I had done that. Well, If that had been me, you wouldn’t have had any cake. Probably. Just one huge hole, haha. By the way, I’m going to need sugar coated cranberries for my recipe next weekend too. And needless to say, awesome idea (and whole…I mean cake)!